Below is a comprehensive list of the best property calculators available on the web. These real estate calculators will help you calculate everything from mortgages to cash flow, stamp duty and lender’s mortgage insurance. These property calculators will help you analyse property deals quickly so you can spend less time crunching numbers and more time finding great investment properties. 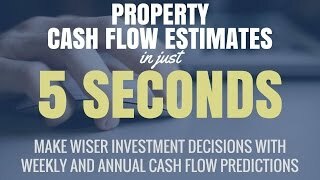 The Quick Test – This is a quick test to see if your property is likely to be positively cash flowed, it also shows the rental yield of the property you are analyzing. Mortgage Repayments Calculator – Quickly and easily calculate the expected mortgage repayments on your home loan if it is a principle and interest loan. Saving My House Deposit Calculator – Set your savings target and your time frame and this calculator will tell you how much you need to save per month, per week and per day. Land Tax Calculator – If you own a lot of property then it is likely you will be liable for land tax. Use this simple calculator to get an estimation of exactly what you may be liable for.